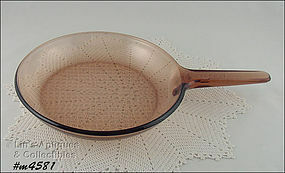 This listing has the larger 10” size skillet from Corning’s Vision dinnerware line! 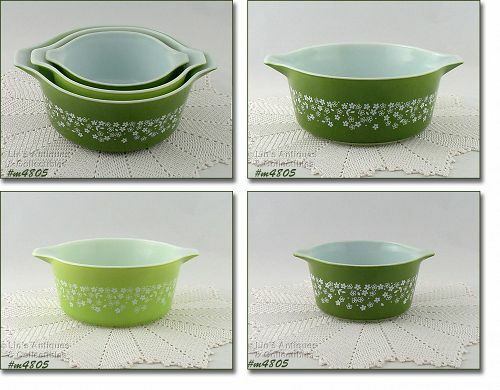 Skillet is in super condition – no chips or cracks – neat item! 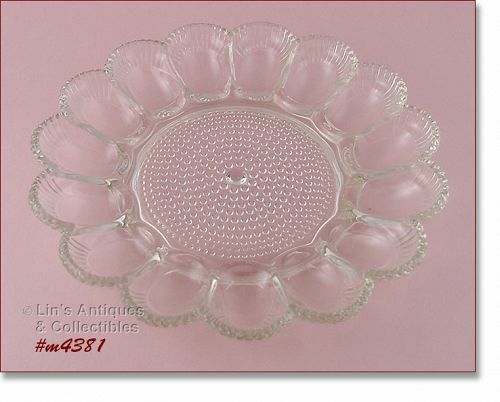 Excellent condition clear glass Hobnail pattern egg plate for deviled eggs! This listing has King’s Crown wine glasses and cordials – 2 of each! 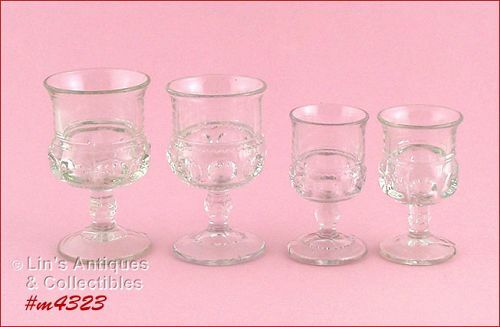 Wine glasses measure 4 ½” tall, cordials measure 3 ¾”, and all 4 are in excellent condition! 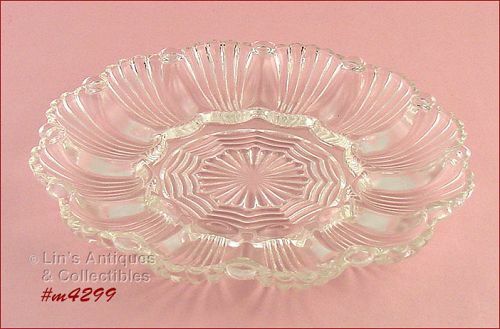 Excellent condition vintage clear glass deviled egg plate! It measures 10” diameter. This little Fenton basket caught my eye and I couldn’t resist purchasing it! Basket measures 6” long (at longest), 2 ½” wide (at widest), and 4 ¼” tall (at tallest). Bottom is marked Fenton inside an oval. 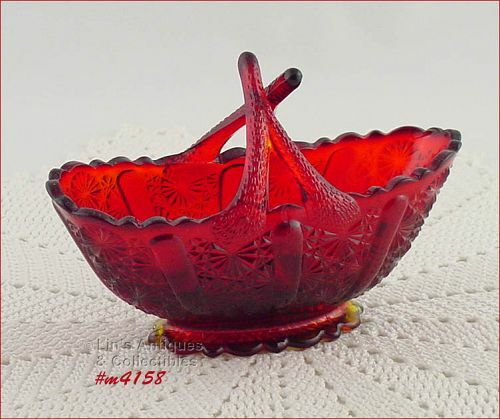 Basket is a beautiful red color and the base (foot) is the pretty yellow/orange (amberina color). 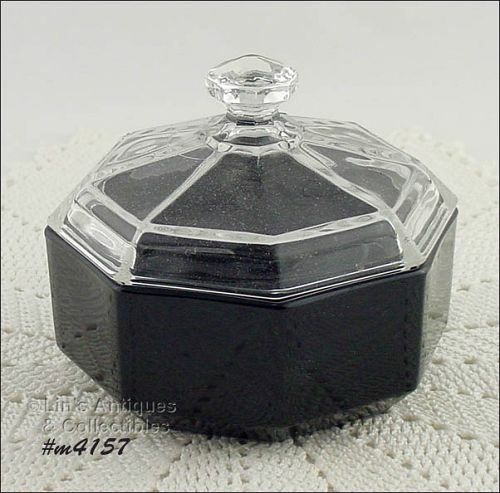 This is a pretty octagon shaped glass vanity / powder jar! 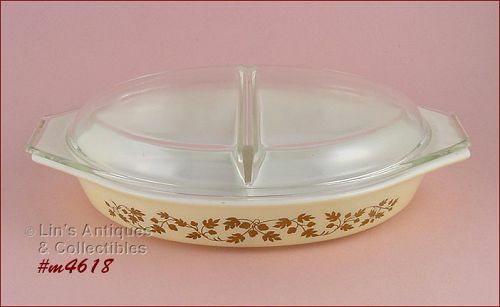 The bottom is black glass and lid is clear glass. 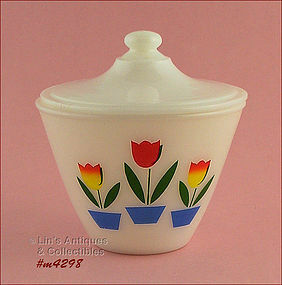 Measures 4 ½” diameter, 2” tall to rim, 4 1/8” tall from bottom to top of knob type handle on lid. Bottom is marked France 34. 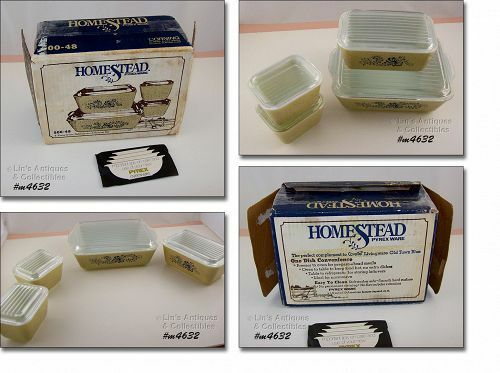 Jar and lid are in excellent condition – super! 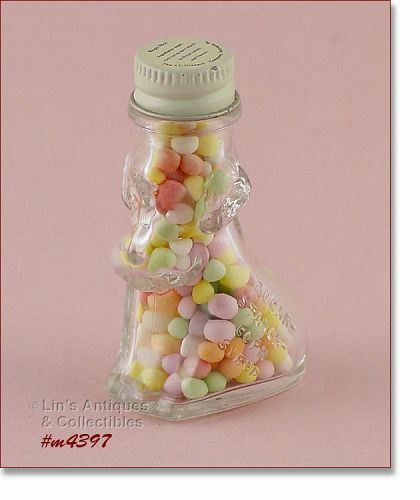 This is one of the most unusual and decorative glass coffee pots I’ve seen – it’s neat! 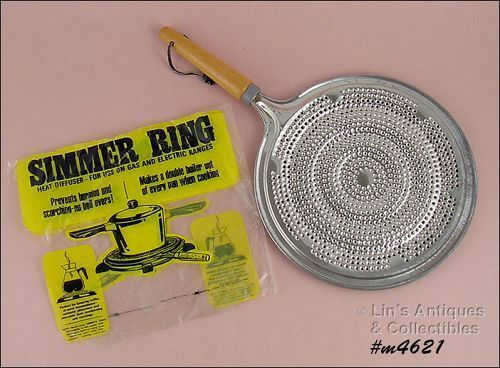 It has aluminum grounds holder/strainer and stem and this is original to the pot, not a replacement for a glass one. I would estimate it to be 6 cup capacity. Coffee pot has no manufacturer’s markings so I have no idea who made it. It is in excellent condition!